The other day, I wrote about how it took me until adulthood to really appreciate Cesar Romero’s Joker. (Check it out here, if you like.) 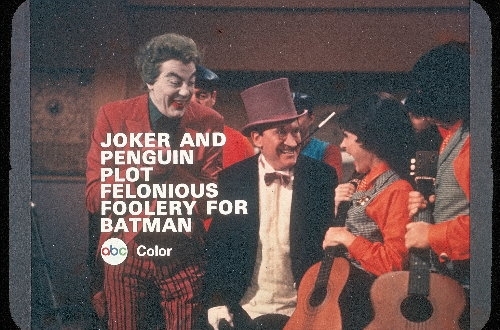 Well, the same holds true for Burgess Meredith’s Penguin. 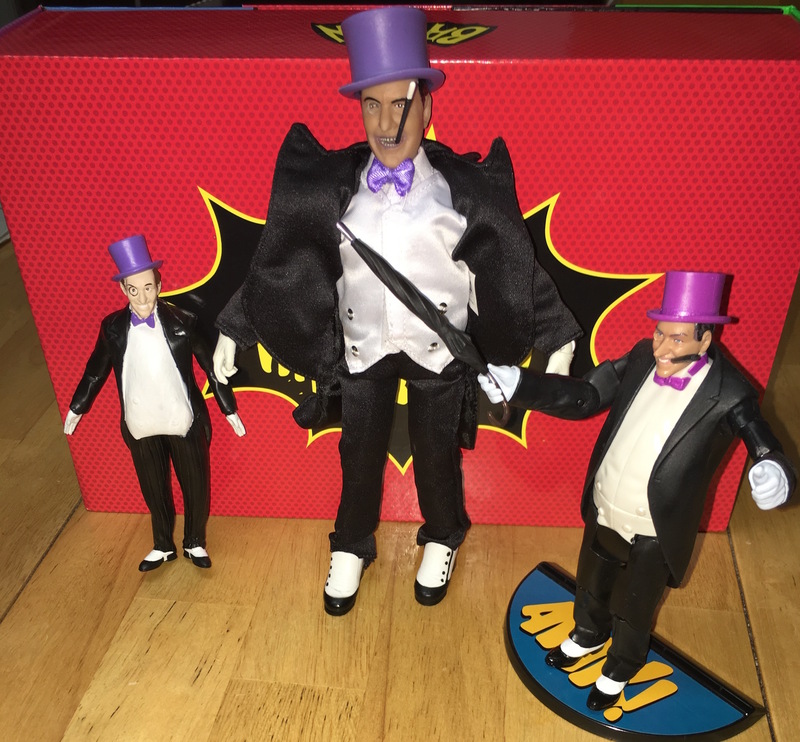 Actually, more so, because I didn’t even like the Penguin all that much as a kid. He just didn’t seem like much of a threat to Batman. Oh, how wrong I was. I just didn’t understand. Because the Penguin, it turns out, was the shrewdest of them all. 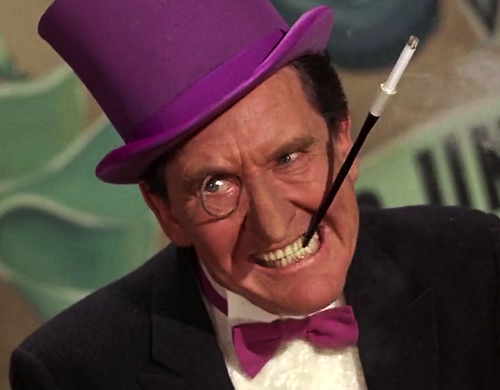 Burgess Meredith was born 108 years ago. 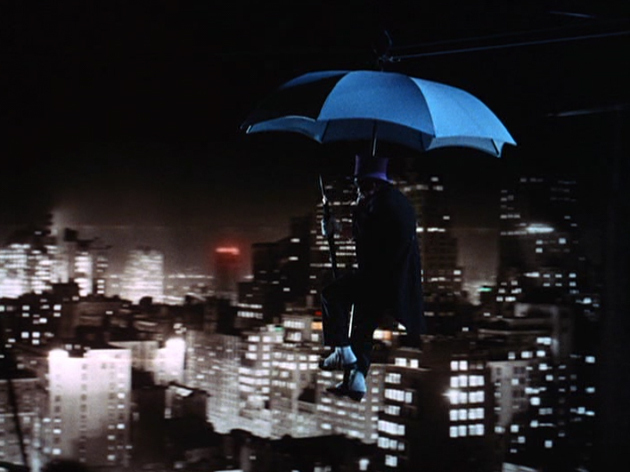 Sure, he was Mickey from the Rocky movies, but really, truly, he was the Penguin. 1. 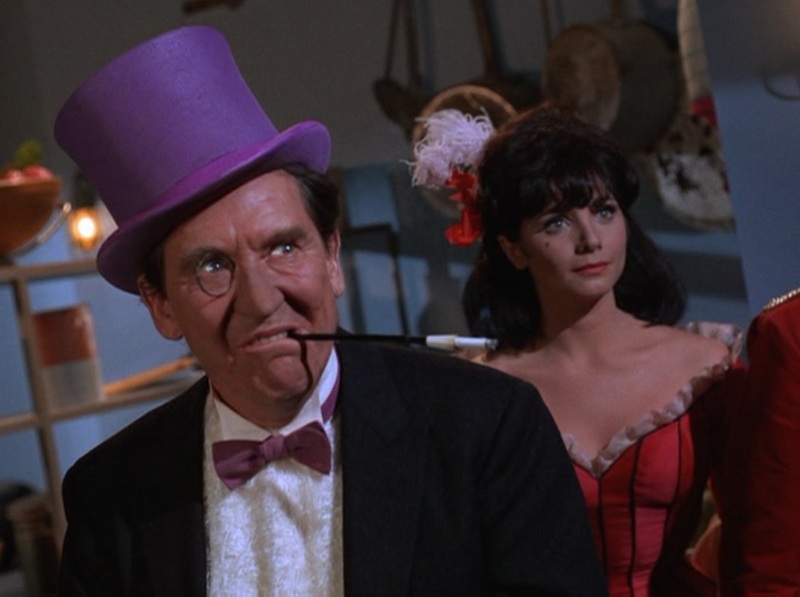 Burgess Meredith gave the Penguin intelligent craftiness, just what was needed when you’re dealing with an arch-villain who is clearly not a physical match for Batman. 2. He was the smartest of the Big Four. 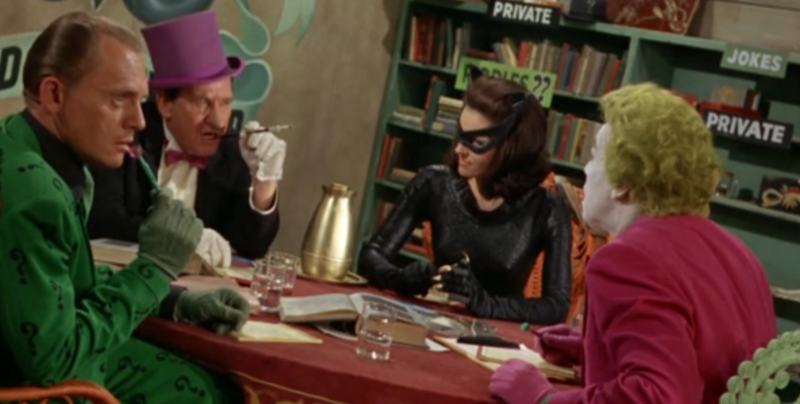 The Riddler challenged Batman, the Joker annoyed him and Catwoman made the Caped Crusader hot under the cowl. 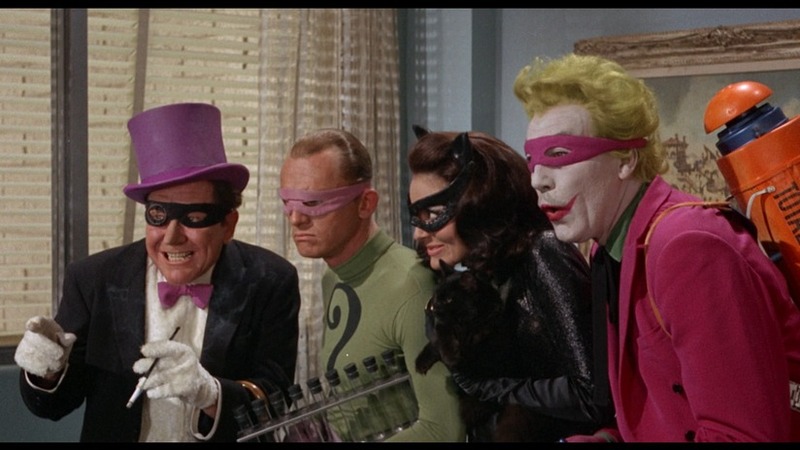 But none of them quite frustrated him the way the Penguin did. 3. 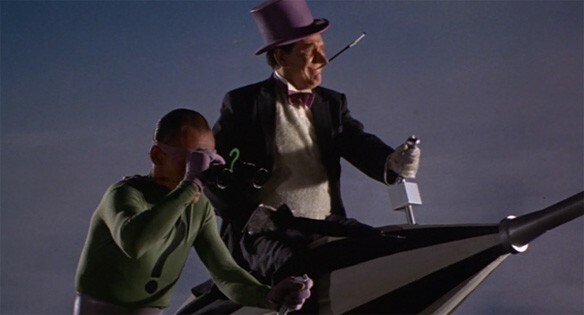 So in retrospect it makes all the sense in the world that it was the Penguin who was calling the shots in the 1966 movie. 4. The writers clearly knew what they were doing by always having a script ready for whenever Meredith was available. 5. 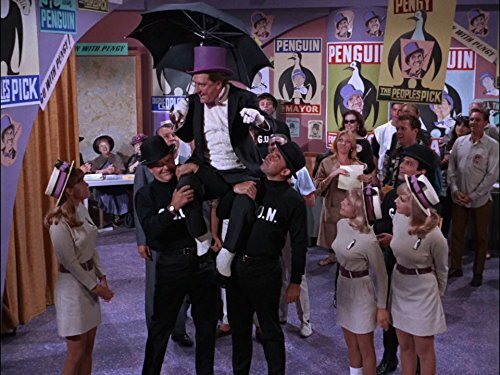 Still, I thought the writers stretched things even more than usual when they set the Penguin up as a mayoral candidate or movie mogul. 8. 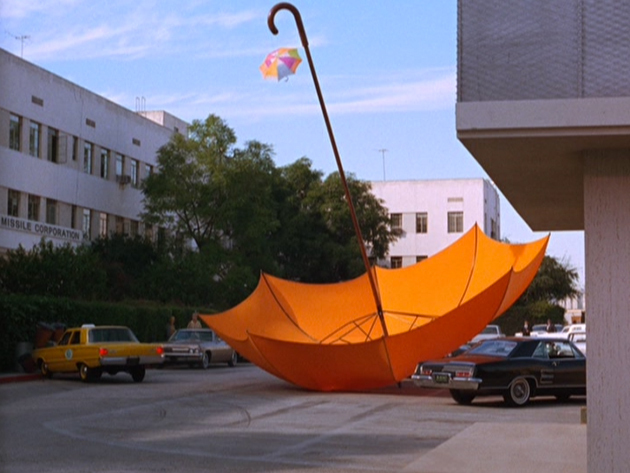 That giant umbrella in his first two-parter was great. Right out of the comics. 11. 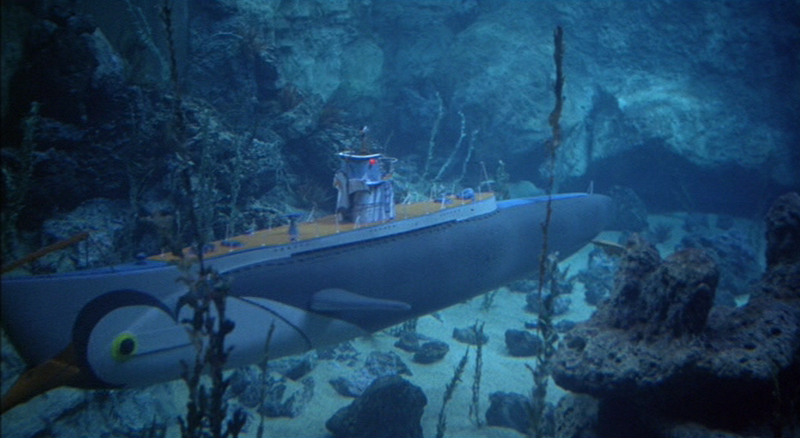 I really want to go to the Penguin’s restaurant, don’t you? 12. Man, I loved this team-up when I was a kid. It doesn’t really hold up as well as it used to, but it felt like a special event at the time.